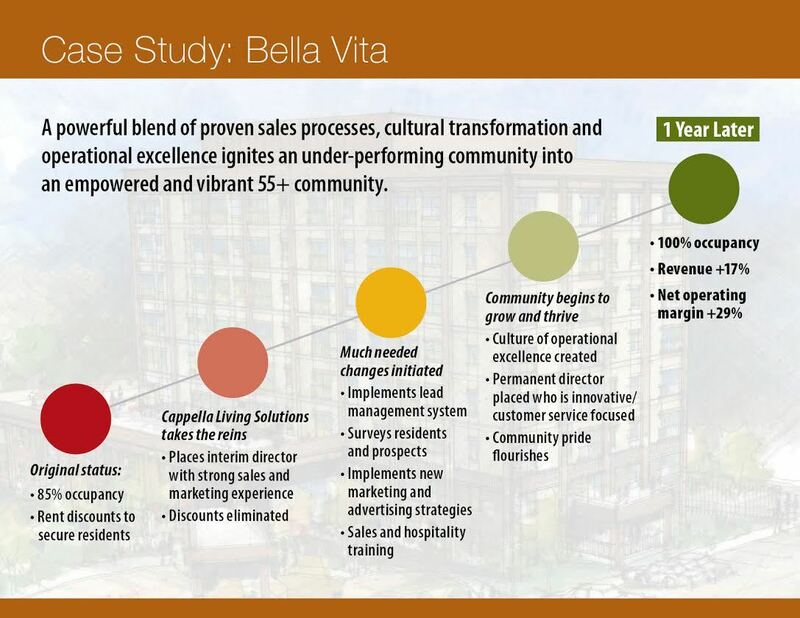 At Cappella Living Solutions we love to share the powerful stories of success that are a testament to our leadership and innovation in senior living. By combining our operational expertise with our “secret sauce” of culture development, we inspire rapid achievements in financial outcomes, resident satisfaction, and employee engagement. 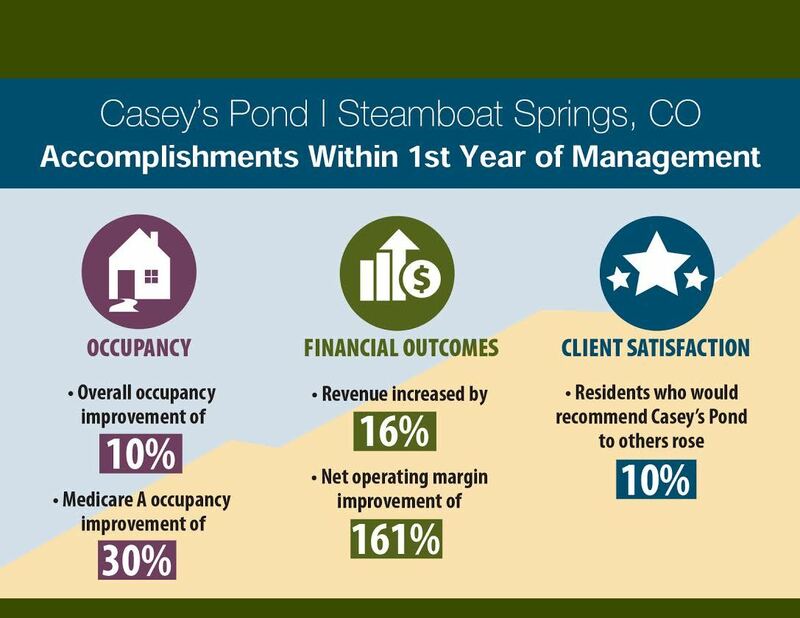 Cappella Living Solutions assumed management of Casey’s Pond, a CCRC located in Steamboat Springs, CO in early 2016. The community was experiencing significant occupancy and financial challenges. To date, the community has seen a 161% improvement in net operating margins and a 10% increase in overall occupancy.Data compares 4th quarter 2015 to 4th quarter 2016. Bella Vita is an active adult apartment community located in the heart of Aurora, Colorado. Since opening two years prior, the community had not reached stabilized occupancy and was experiencing financial challenges. Under Cappella’s leadership the community reached 100% occupancy and had a 29% improvement in net operating margin in less than one year.